Our guest on this episode is trying to get set up well for next year when they will start making an attending salary. They want to hit the ground running and are wondering if it is time to hire a financial planner, concerned that they will make a mistake in managing their money. So when should you hire a financial advisor? I think it is worth doing any time you’re making money, and don’t have a written financial plan. If you need the advisor, go hire the advisor. You don’t want to be penny wise and pound foolish, but you do want to pay attention to the fees, and not pay fees that you don’t need to pay. It is kind of a balancing act. The main thing you need is a written financial plan in place. If you feel capable of writing that financial plan I don’t feel like you need to hire anyone else. If you do not feel capable of writing that financial plan and being confident it is a good plan, then I think you need to do something about that. In this episode, I share the three options you have in this situation and discuss whether hiring a financial advisor now would be the right choice for you. Creighton University believes in equipping physicians for success in the exam room, the operating room, and the boardroom. If you want to sharpen your business acumen, deepen your leadership understanding, and earn your seat at the table, Creighton’s Executive Healthcare MBA is for you. 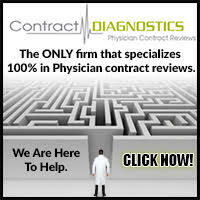 It’s specifically tailored to busy physicians, advanced clinicians, or working health care executives. Our program blends the richness of on campus, and the flexibility of online learning. Earn a Creighton University Executive MBA in 18 months, 45 credit hours, and four day on campus residencies. Learn in a deeply collaborative peer to peer cohort, and elevate your expertise. Visit www.creighton.edu/chee to learn more. That is true. By the time you are 20 or 30 years out on a portfolio, you are much more likely to have higher returns with a portfolio of index funds than a portfolio of actively managed funds. Our guest on this episode is Laura. Her husband is in a hospital fellowship for Pediatrics currently. They are trying to get set up well for next year when he will start making an attending salary. They are getting ready to hit the ground running and wondering if it is time to hire a financial planner, concerned that they will make a mistake in managing their money. Start reading a lot of books and blogs about finances and investing. Start participating in Internet forums, asking and answering questions, until you feel confident that you have learned this information. This was the path I took. I was a do-it-yourselfer that learned all this stuff eventually. The second option is to take something like my Fire Your Financial Advisor online course. The whole point of that course is for you to come out of it with a written financial plan that you wrote yourself. 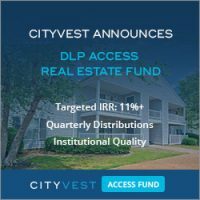 It is not as cheap as reading books, and blogs, and participating on forums at $499 but it is dramatically cheaper than paying a financial advisor. So that is the right choice for some people. The third choice is to hire an advisor. The key is to get good advice at a fair price. There are a lot of financial advisors. I have a list of ones I recommend, who will help you put together a financial plan. Even if you don’t want their help in implementing that plan, paying them fees every year to keep the plan going, they will help you draft up a financial plan. This option will cost you some money. The more you can do yourself that you bring to them, the less it will cost you. But it is going to cost you at least a couple of hours of their time, at $200-$400 an hour. More likely it will probably cost you something like $2000-$4,000. Those are your three options, obviously increasing in expense, but you get increasing help with each option as well. So, when should you do it? I think it’s worth doing any time you’re making money, and don’t have a written financial plan. If you need the advisor, go hire the advisor. You don’t want to be penny wise and pound foolish, but you do want to pay attention to the fees, and not pay fees that you don’t need to pay. It is kind of a balancing act there. This question of when to hire a financial advisor is kind of the opposite question I tried to answer with a blog post back in January, which was, “How do you know you’re competent to be a do it yourself investor?” But, the points I tried to make in that post are pretty relevant to this discussion. The first one was that you don’t have to be fanatical about it. You can have a combination of using an advisor and doing some stuff yourself. It’s not like you have to go all or none. And in fact, you can even use an advisor for years, and then switch to being a do it yourselfer or using an advisor on one account, and do it yourself on another account. There are a lot of different combinations, but I think there are a few things you have to have in order to be a do it yourself investor. You have to be interested in it. If you’re not interested, you’re not going to gain the knowledge you need to do it well. You’re not going to gain the discipline you need to do it well. So, the first thing is you have be interested. And. I think when you can write your own financial plan and go, “Yeah, it’s pretty good financial plan,” then you probably don’t need a financial advisor. If you look at it and you go, “I don’t even know where to start writing a financial plan,” then you probably ought to go hire somebody or take my online course, or at least start reading some books. I think another time when you realize that maybe you’re ready to start doing it yourself, is when the fees are really bothering you. When you’re like, “Man, I paid $5,000 or $10,000 or $25,000 last year in advisory fees. I really don’t want to do that. I don’t feel like I’m getting that much value out of this,” then it’s time to start learning some more, and becoming a do it yourself investor. When you’re listening to advice from your advisor, or from radio hosts, or on this podcast and you’re starting to poke holes in it, when you’re going, “Oh, well that’s not right in this situation.” When you can actually defend one side of some of these common controversies in investing, like what a safe withdrawal rate is, or whether you should use a Roth or a traditional 401k, you know, these kinds of questions. When you can actually have these debates and to defend both sides, you probably know enough to start managing your own money. You need to have read some books. It is possible to learn all this stuff on the internet from blogs, and forums, but most people find it’s much more of a shortcut if they read at least a few good financial books. I think it’s important to have sufficient confidence, but not be overconfident as well. If you think you can predict where interest rates are going, or where the market is going, you’re probably overconfident. But, I think as a general rule for most docs who are learning this stuff and progressing toward becoming do it yourself investors, your confidence generally lags your knowledge level and your skill level by about a year. A lot of people look back and go, “I could have been doing this for the last year,” but they just didn’t quite have the confidence to do it. So, as you learn this stuff, realize this is something you can do. It’s not that hard to do. If you’re willing to put the time in, and you’re willing to develop a little bit of discipline to stay the course through the down markets, then certainly you can save the thousands of dollars a year it will cost you to get good financial advice. 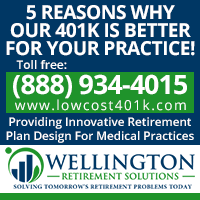 Laura and her husband have old tax deferred retirement accounts from previous jobs. Rolling those over into a Roth IRA while in residency or fellowship is a good thing to do. You are in a lower tax bracket than you will be in the future. Now is the time to do that. The downside is you will have to pay some taxes and it is harder to come up with the tax money when you’re not making a lot of money but still I think it’s probably worthwhile, to figure out a way to come up with that tax money. There is a penalty for not withholding enough taxes during the year and this would apply to that. You may still be in the safe harbor. You can get into that in several different ways. You can pay 100% of what you owed last year in taxes whether through quarterly estimates or through withholdings. Then you wouldn’t owe any tax penalties. Once you get to an attending kind of level of income, that’s 110% of what you paid last year to be in the safe harbor. The other two ways you can get there is, you can pay 90% of what you owe at some point during the year. That also gets you in the safe harbor. And, the final way, is you can be within $1,000 of what your tax burden is. If you can get into the safe harbor through any of those three methods, just with withholdings from your salary, then you don’t have to make any quarterly estimated payments. If you cannot get into that safe harbor, then you better send the IRS a little bit of money. But be careful, you don’t want them to withhold any money from the IRA. You don’t want to pay taxes using IRA money. You want to make sure those taxes are paid with money from outside of the IRA. For Laura, and maybe most residents and fellows, your typical tax refund from previous years may cover the taxes on this roll over. Should you take into account things like what pension plans and retirement plans a potential employer offers when you are looking for your attending position? Does it matter? Yes. Does it matter more than anything else? Well, no. Most important, is probably the people you are working with. You want a good fit for you, and you want people you’re happy to go to work and see. You want to look at the whole package. Is the call schedule going to be good? Is the salary competitive? 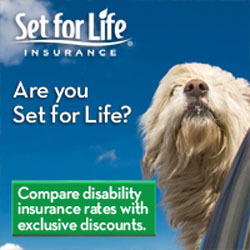 Does the rest of the benefits package look good? Are they going to give you a decent healthcare plan? Look at those kinds of things. That said, I think people are paying a lot more attention these days to the retirement plans, to what 401k, 403B, 457 is offered. And, certainly it would be a good idea to find out what you’re going to have before you go there and weigh that into the balance, but I wouldn’t put it at the top of my list. The other thing to keep in mind is retirement plans change. I’m on about my third retirement plan in a partnership I’ve been in for eight years. They change, so don’t base all your decision on just the retirement plan. The good news is, they usually change for the better. Plans are generally getting better over time. Employers are realizing they have a fiduciary responsibility to their employees, and that they can be sued if they are putting together a crummy 401k. The general trend is that they are getting better. So, I wouldn’t spend a lot of time worrying about that, but certainly, find out what you’re getting into as part of the interview process. Laura and her husband are pretty set on utilizing public service loan forgiveness. He will have five years after he finishing his training and they are currently enrolled in the PAYE program with about $300,000 in loans. The key to getting the most forgiven is paying the least as you go along. 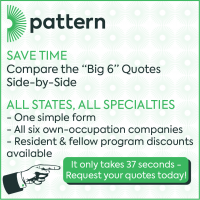 So, you tend to do everything you can to make the payments as little as you can. One of the things you do for that, if you’re both earning an income, is to do married filing separately when you file your taxes, to get the lowest possible payments for the PAYE program. This doesn’t apply to Laura though as she is currently a stay at home parent. But I suspect they may be in the wrong payment plan. Pay as you earn is probably not the right payment plan. They probably want to be in revised pay as you earn. The reason why is that you get the interest rate subsidized a little bit. Will it matter a lot if you’re going for Public Service Loan Forgiveness? Not really, but in the event that something changes, and you end up deciding to pay them off, or the program goes away, or your career plans change or whatever, then you will be really glad that you minimized how big that loan got. Can you switch to REPAYE at this point? You can and all the payments count. But a lot of times when you switch programs, I think it’s required that you make one full payment between them. So, it may not be worth it to you to switch if you’re really committed to Public Service Loan Forgiveness. To reduce the loan payments you will want to keep your taxable income down. Not moonlighting results in more forgiveness. Not making a lot of money as an attending results in more forgiveness. Not doing Roth conversions (like we talked about earlier in the episode) results in more forgiveness. Doing tax-deferred retirement plans results in more tax forgiveness. The general rule is that residents and fellows do Roth contributions and Roth conversions. But if you are set on PSLF you may come out ahead financially not doing those and doing tax deferred contributions instead to keep the loan payments as low as possible. You will have to run the numbers. I generally recommend people in these sorts of situations actually hire professional help. I have a list of people that give student loan advice. They will usually charge you a few hundred dollars, but they’ll go through your taxes with you, and how you should file them, and whether you should be using Roth accounts or tax-deferred accounts for any retirement savings you’re doing, and figure out the best program for you to be in. And truthfully, when you’re looking at maybe getting $300,000 forgiven, it’s probably worth paying $400-$500 to someone to have them really go through these numbers with you with a fine tooth comb, and making sure you’re doing it in the way that it’s going to work out the best. Should doctors be able to find out what the doctors in their group, hospital, or academic institution where they work make? Should children know what their parents earn? Should parents know what their adult children earn? Salary transparency is a big, almost a political, topic these days. A lot of people are big fans of it. It was interesting, I listened to a podcast on Planet Money a couple of years ago, about a company that decided to be radically transparent about what everybody was paid in the company. They just put a spreadsheet up on the company website, on their intranet, with everybody’s salary on it, and you could look it up at any time. Some good did come out of it, and a lot of frank discussions came out of it where employees were told, “You’re not worth that much to our company. That’s why we’re not paying you as much as Sally down the hall.” And, there were a lot of kind of hard feelings that came out of it as well. So I don’t think it’s all unicorns and rainbows and sprinkle cupcakes to have salary transparency. That said, there are certainly some benefits. When it comes to negotiating, information is power. The more you know about what other people in that company are being paid, the better negotiating position you are in. So, salary transparency helps the workers, and hurts the owners in the negotiating. There is a lot of good data showing, that companies where the salaries are more transparent, have a much smaller gap between what men are paid and what women are paid to do the same job. So, this has become a big issue among advocates for equal pay between the genders. I think there is just a little more of a systematic approach to salaries that people take when they’re transparent. Most of us had transparent salaries when we were in residency. Everyone got paid the same, no matter who they were, what they knew. We were all paid the same as a PGY2. In fact, usually across the hospital, you’re paid the same whether you’re an orthopedist, or a pediatric PGY two. Certainly, in the military it is that way. A lot of partnerships are set up that way. You eat what you kill. And so, I think it’s possible to be very transparent in a lot of jobs, but it’s not all perfect to have salary transparency. There are some issues with it, and there really can be some hurt feelings over it if you’re not careful about how it’s done. Now, as far as this question about what kids should know about their parents, I think you’ve got to approach every kid as individual. I don’t know that any of my kids know exactly what we earned last year. It doesn’t help that our income is so variable month to month, and year to year, but they know that we’re well off, and that we make plenty of money. We don’t hide that from them. Now if they came to me and sat down and wanted to talk about it, I think if they’re old enough that I wouldn’t have to worry about them running around the neighborhood telling all the neighborhood kids what I made, I would probably sit down and have that discussion with them. As far as whether parents should know what their kids make? I don’t think so. I don’t think that’s really something that needs to be out there. Is it bad to have frank discussions? I think it’s perfectly appropriate in some families, but I think in other families it can cause a lot of problems. I know particularly in some cultures there’s heavy expectation for the kids, especially the financially successful doctor type kids, to be contributing to the parents and even to their siblings. I think that can get a lot of people in trouble when you’re radically transparent among family members about those salaries. So, be careful with that. A physician has been following the recommended stocks of Motley Fool Stock Advisor service newsletter for the last 18 months. He now has a portfolio of 110 different kinds of stocks and it is getting too much for him to handle and thinks it would be simpler to just have index funds. He wanted my guidance in simplifying his portfolio. This is a good example of what happens when you actually follow the instructions of one of these newsletters! No one can follow 110 stocks. It’s impossible to keep track of all that. That’s a ridiculous portfolio. Not only is it ridiculous, he’s running a fair amount of uncompensated risk. And, now just to get out of this portfolio and get into a set of index funds, he has to probably pay all these commissions at seven or eight bucks a piece to sell these stocks. So, this is not the kind of portfolio I recommend. I think he gets that, that he would be better off in a handful of diversified index funds, but the question is how do you do that? He has not been doing it for that long so there probably is not that many capital gains. But, in a taxable account, you do want to be conscious of how much you’re going to have to pay in capital gains taxes. If your basis is very low compared to the value of these stocks, you may want to think twice about selling them. You may want to build the portfolio around some or all of these stocks. Certainly, you can sell the losers. You can sell the ones where the base is about what the value is, and hopefully be able to get out of most of them without having to pay too much in taxes. But in this sort of a scenario, I just wouldn’t want to invested in 110 stocks, so I’d be selling them like crazy. I’d probably have them all sold within the next two or three days, and just put the money into an index fund. Certainly, if you’re in a Roth IRA, or a 401K where there are no tax complications and maybe not even a commission cost to selling these things, then I’d do that right away. But in a taxable account, there’s going to be some tax complications and consequences of the mistake of trying to be a stock picker based on what a newsletter is sending out. What’s interesting is that he’s probably not even tracking his return on these assets. I mean, he may be under performing an index fund. He may be over performing in the index fund. But, who can keep track of it when you got that many pieces coming and going, and that many moving parts in the process? A listener trying to do a backdoor Roth IRA had to wait the required five days for the accounts to settle before he could do the conversion from the traditional IRA to the Roth IRA. Now as he is doing his taxes he sees that he gained some interest, 37¢, in his traditional IRA while the accounts were settling. He wonders what to do about that? This is such a common question. I wrote a blog post about it. It’s called, Pennies and the Backdoor Roth IRA. And, pretty much all of us have this happen to us every year, because you earn a little bit of interest in the one or two days that the money was in the traditional IRA, before you move it to the Roth IRA. What I usually do is I just convert that 37¢ to a Roth IRA. Technically it’s taxable. But, since you round everything down to the nearest dollar, there’s actually no tax cost. You just got a free 37¢ Roth conversion, so that’s great. But, even if it was five bucks or 10 bucks or $250, it’s still what I would do, I would remove it out of the traditional IRA and into the Roth IRA, and just pay whatever taxes are due on it. If it’s truly just a few pennies, you can leave it in the traditional IRA and roll it over next year when you put in your next contribution for next year, and just not worry about it. But, what I would do most of the time is just go back in there and roll those few dollars, or a few cents into the Roth IRA as well. A 27-year-old resident asked a question about his asset allocation, feeling like the 60/40 stock to bond ratio in the Vanguard Life Strategy moderate growth fund he is investing in is too conservative and he wants to be more aggressive but still keep it as passive as possible. 40% bonds is a lot of bonds for a resident. Thi s is a relatively tiny portfolio compared to what he’s eventually going to retire with, and so it certainly wouldn’t be crazy to have a more aggressive portfolio. 75% stocks is the maximum that Benjamin Graham, Warren Buffett’s teacher, recommended you ever have. Even 90% stocks or 100% stocks would not be crazy in this sort of a scenario. 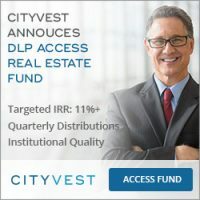 So, do you need bonds in a four figure portfolio as a resident? Does it really make a difference? No, but it’s a good chance for you to see how bonds perform and how stocks perform, as you’re beginning to be an investor. And so, I think there’s some value there in having some bonds even from the beginning. But let’s not kid ourselves. What really matters when you’re investing early on, is how much money you’re putting in the account, not so much what the asset allocation is. So, I would concentrate on income. I would concentrate on savings rate, and I would worry a little bit less about asset allocation. In fact, I would probably, if I had it all to do over again, I would probably just leave my money in a target retirement or a life strategy, a fund of funds, until I had $100,000. It just doesn’t matter that much early on. If you want to break it down and play with your money a little bit more, that’s okay. You might be able to save a little bit of money in expense ratios, maybe fine tune your asset allocation a little bit better. But, really this doesn’t matter that much when you’re a resident. What really matters is hitting the ground running when you become an attending. This is a question I think a lot of docs struggle with. I’m lucky enough that my parents have done very well. They were very frugal, and after my dad retired with a pension, he actually kept working, and built up a pretty sizable nest egg as well. So this is not something I really have to worry about. Certainly, you don’t want to just be throwing money down a rat hole. You know, if they have a meth addiction or something, you don’t want to be supporting that. Likewise, terrible financial decisions, you don’t want to be supporting those. But, you probably want to keep a roof over their head, and want to keep food on the table, etc. Certainly, it’s reasonable to do little things on the side that make a difference like they may not come see you and their grandkids if you don’t buy their plane tickets. So, that seems like a reasonable thing to do. But, I probably would not make a habit of making their credit card payments for them. I would probably demand that they chop up the credit cards before I actually assisted them financially. I think it’s okay to set limits when it’s your money that we’re talking about. It’s okay for you to set some of the rules, but that has to be done very, very politically and a with a great deal of compassion. One listener contributed to her Roth IRA and then her adjusted gross income went above the contribution limit for a Roth IRA. Now she wants to know what should she do with the earnings in the Roth IRA that she shouldn’t have contributed to in the first place? What you do here in this situation is actually pretty common. Just for people who don’t know about the Roth IRA rules, is you recharacterize the Roth IRA contribution to a traditional IRA contribution. And, when you do that, both the principal and the earnings go into the traditional IRA. Then you have to wait a certain period of time. There’s IRS rules on it. It depends on what time of year you do it, how long you have to wait. And, then you convert it all back to a Roth IRA. Now at that point you’re going to owe taxes on the earnings portion of that money, just because, that part hasn’t been taxed yet, unlike the traditional IRA contribution that was after tax money. But, that’s the way you do it. You recharacterize it to a traditional IRA. You wait a few months, and then you convert it to a Roth IRA, and pay any taxes due. Pulling the money out of the account probably isn’t a good idea. That often triggers penalties, and keeps you from being able to keep all that money in the account like you wanted to in the first place. First, if you’re going to want to retire in 10 or 15 years, you have to save a lot of money. Even if you’re going to be living in a lower cost of living country, you have to save a lot of money, and you probably have to be pretty aggressive with your investments, because you need your money to do some heavy lifting. Bear in mind you can use retirement accounts, but you are going to pay US taxes on the money when it comes out of those retirement accounts. That’s just the way it is. If you’ve got a bunch of money in US retirement accounts, you’re going to pay US taxes on that money when it comes out. But, since you’ll likely need a lot less money to live in Central America or someplace like that, you may want to maximize the use of tax-deferred accounts rather than Roth accounts, because you’ll be in a lower tax bracket, you’ll have a lot less income when you’re living in retirement. You also need a plan to get to that money before age 59 and a half. This is an issue that every early retiree has to work around a little bit. The easiest way to do it is with what’s called the SEPP rule, substantially equal periodic payments rule, and you basically take out the same amount from the time you start taking the withdrawals until you hit age 59 and a half. And, that allows you to get to your retirement money without having to pay the penalty. So, basically what they’re saying is early retirement is an exception to the age 59 and a half rule. You should also be aware of state taxes. If you are going to live in another country, it would be ideal if the state, which you’re having to pay US taxes on, is a tax free state. That would certainly reduce your tax burden. You may find it’s easier to buy ETFs too when you’re overseas, just because brokers or brokerages are much more likely to be used to dealing with the compliance rules from foreign country’s taxes than a typical mutual fund provider might be. So, that may be worthwhile looking into as well. If you do decide to maintain your US citizenships, you’re going to have reporting duties to the US. You have to report bank accounts over $10,000. You have to report property over $50,000. You still have to actually pay US tax on any foreign income that you receive. So, that leaves you with the question, “Do I renounced my citizenship?” And, that’s expensive too. Here’s what happens when you renounce your US citizenship. First, you pay a fee of $2,350. Yeah, just to walk out the door. That’s what it costs. But you’re trying to avoid being what they call a covered expatriate, and one of the ways you can get that, is having a net worth of $2,000.000, or having a tax burden, actual tax liability, of $160,000 or more for the last five years. If you become a covered expatriate, you’ll actually owe taxes as of the day you renounce your citizenship. Now, they give you a $700,000 exemption on capital gains, but any capital gains above that, you’ll have to pay capital gains taxes. And, you could also owe state or federal estate taxes depending on the size of your estate. So you really have to calculate carefully, and actually time your exit from the country when you renounce your citizenship, if that’s something you’re going to be doing. So, this is going to require some planning ahead if you really want to leave the US, and not be a US citizen. If you’re going to continue to be a US citizen, well just plan to continue to pay US taxes, because you’re basically going to continue to pay taxes just as though you were continuing to live here. If you have been thinking about buying the Fire Your Financial Advisor online course now is the time to do that. 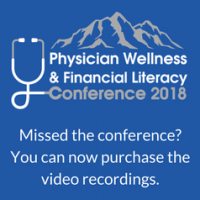 Until April 12th if you buy the FYFA course you also get the WCI Physician Wellness and Financial Literacy Conference online course for free. WCI: Welcome to The White Coat Investor Podcast, number 101: When To Hire a Financial Planner. Creighton University believes in equipping physicians for success in the exam room, the operating room, and the board room. If you want to sharpen your business acumen, deepen your leadership understanding, and earn your seat at the table, Creighton’s Executive Healthcare MBA is for you. 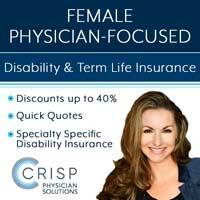 WCI: It’s specifically tailored to busy physicians, advanced clinicians, or working health care executives. Our program blends the richness of on campus, and the flexibility of online learning. Earn a Creighton University Executive MBA in 18 months, 45 credit hours, and four day on campus residencies. Learn in a deeply collaborative peer to peer cohort, and elevate your expertise. Visit www.creighton.edu/chee to learn more. WCI: Thanks so much for what you do. Your job is not easy. I know you’re probably on your way into work, maybe your way home, maybe you’re listening to this as you work out or something, but hopefully, you’re taking some time for you. 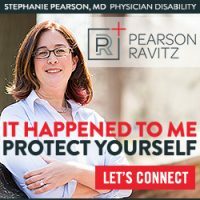 Physician burnout is a very real issue. I think most surveys are now showing about 50% or more of physicians have some elements of burnout, and that’s because your job is difficult. Well, part of it’s the EMR, but mostly is that your job is difficult. It’s a physically and emotionally taxing. It took a lot of time to learn how to do it. 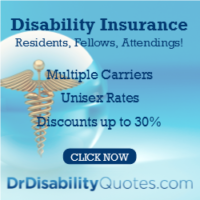 It takes a lot of ongoing education, and frankly, it involves a lot of high liability. WCI: It’s way easier to make a podcast. You should all take a podcast instead. Just kidding. I’m glad you are doctors. Doctoring is hard work, and you guys deserve thanks, and I know you don’t always get it from your patients, so I want to thank you today for what you do. 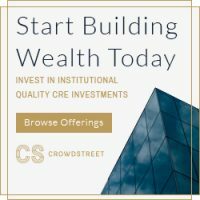 WCI: If you are interested in meeting more of your fellow White Coat Investors in person, you ought to give serious consideration to coming to WCI Con 20. That’s going to be in March 2020. Save the dates now, it’s March 12th through 14th. Registration will open in July. We’ll get you the dates on that, but this is a great opportunity. We’re going to have some awesome speakers and have a great time, so we’re really looking forward to that. It’s going to be held at the Paris and Bally’s Casino Conference Area, et cetera. It’s very nice, and if you don’t like it, well there’s cheaper and more luxurious places to stay, both all over the place since we’ll be smack dab in the middle of the strip. But I’m looking forward to seeing a lot of you there. WCI: Also, if you haven’t gotten it yet, Financial Boot Camp is out, the book. This is my second book. It really turned out great. It’s getting a lot of great reviews. Thank you to those of you who are leaving me five star reviews on it, but please check that out. It is a 12 step guide that will take you from zero to hero in a shorter time period as you are willing to check off the 48 missions in the book. But when you finish those, you will have caught up to the rest of your White Coat Investors, and no longer feel like you’re flailing around with your finances. WCI: Our quote of the day today comes from Rick Ferri who said, “The longer an index portfolio was held, the better its performance relative to an actively managed portfolio.” And, that’s true. By the time you are 20 or 30 years out on a portfolio, you are almost surely more likely to have higher returns with a portfolio of index funds, and a portfolio of actively managed funds. WCI: Today we’ve got a couple of special guests, and we’re going to bring a bunch of your questions onto the podcast through the SpeakPipe. So, we’re looking forward to this. We’re going to try to focus a little bit on the subject of when to hire a financial planner, but as usual, we’re going to go all over the place with this podcast. We’re looking forward to it. WCI: Okay, we have Laura on the phone here. Laura, do you want to introduce yourself a little bit? Tell us a little bit about you and your husband, and kind of where you’re at in your professional lives and financial lives. Laura: Yeah, sure. So, I am not a doctor. My husband is the doctor. He’s currently in a hospital fellowship for Pediatrics, and he’ll be finishing next summer. And, I am staying home with our two kids right now. I was a teacher, but I’m taking a break for a while. And, then financially we’re just trying to get set up for next year when he starts making an attending salary. WCI: I love it. You’re getting ready to hit the ground running. This is the best possible time to have a written financial plan in your life, is when you come out of training next year or so. And, you guys are doing it perfectly. Laura: Well, that’s thanks to you. WCI: You know, I could’ve really used my book too, when I was in residency. All right, well let’s go through some of the questions you have. You’ve got some old retirement accounts, it sounds like the first thing you wanted to ask about. Laura: Yeah. So we both have old retirement accounts from former jobs. It’s about 13,000 for each of us. And, we’re wanting to roll it into a Roth IRA, but I just want to make sure this is a good idea. It seems like a good idea, but I wanted to ask what you think. WCI: It sounds like you’ve got two, an old 403B and old 401k, and he’s got an old 401k. This is all tax-deferred money, is that right? WCI: Okay. So this year is the last year before you have at least part of the year of an attending salary. You’re not working at all, right? WCI: So you’re basically, the two of you are living on a fellow salary. Laura: Yeah, and we’re in a low, low tax bracket. WCI: Yeah. So I mean, if there is ever a time that’s great for Roth conversions, this is it. Right? WCI: You’re going to be able to convert all 26 or $27,000 you have there at a relatively low tax cost. So, this is a great idea to do this year. This year’s even better than next year. I tell people to do it, you know, the year they leave residency, but that’s for 401ks they’re contributing to during their training. You can roll these over now, because he’s not currently working for this institution. And, this is the institution you did residency at, correct? Laura: He’s going to get some moonlighting hopefully to cover it. Laura: Can I ask you a question with the taxes? Laura: So, I’ve read that there’s a penalty if you’re not withholding enough taxes during the year. Does this apply to that? WCI: Yeah, it would apply. You may still be in the safe harbor. Right? WCI: There’s a safe harbor, and basically you can get into that in several different ways. Given your income, you only need to pay … You know, if you pay 100% of what you paid last year in taxes, whether you do that with quarterly estimates, or whether you do that just with withholding, that gets you into the safe bracket. This, you know, the safe harbor, and so you wouldn’t owe any extra penalties on that. You still have to pay any taxes you owe, but you wouldn’t have to pay any penalties. Once you get to an attending kind of level of income, that’s 110% of what you paid last year to be in the safe harbor. WCI: The other two ways you can get there is, you can pay 90% of what you owe at some point during the year. That also gets you in the safe harbor. And, the final way, is you can be within $1,000 of what your tax burden is. If you can get into the safe harbor through any of those three methods, just with him withholding from his salary, then you don’t have to make any quarterly estimated payments. WCI: If you cannot get into that safe harbor, then you better send them a little bit of money. But, what I would be careful doing is, you don’t want them to withhold any money from the IRA. You don’t want him to pay taxes using IRA money. Does that make sense? WCI: You want to make sure those taxes are paid with money from outside of the IRA. Laura: Okay, from cash flow. WCI: So I would not have them withhold it. Does that make sense? WCI: If you got to send a check into the IRS just to make sure you’re okay then maybe do that, but I’d try to do it just through withholding. Do you remember how big your tax refund was last year? Laura: I know for this year it’s pretty, it’s pretty … Should I say the number? It’s 6,000. WCI: Yeah. Yeah. So that’s sort of a size of a tax refund would cover this tax bill, but you’re not going to get the tax refund. Right? You’re going to have used your tax refund to pay the taxes on this Roth conversion. Does that make sense? WCI: So, those are the factors you’re looking at, and in the worst case scenario, you got to pay a little extra in penalty. But usually, you know, you would be close enough anyway that that penalty would be pretty minor. They’re not usually terrible, so … Okay. Let’s move on to your next question. It sounds like a job hunting one. Laura: Yes. So, when he was looking at jobs for next year, how much do we take into account? Like, their pension plans, and their retirement plans that they offer, as far as like financial independence, and planning for the future, and our nest egg in that? WCI: Well, I mean it’s one of those things, right? Does it matter? Yes. Does it matter more than anything else? Well, no. I mean, most importantly, it’s probably the people he’s working with, right? I mean, you want a good fit for you, and you want people you’re happy to go to work and see. You know? So I think that’s always the most important thing when choosing a job. But, you know, there’s a lot more to it. WCI: You want to look at the whole package. Is this, you know, the call schedule going to be good? Is the, you know, the salary competitive? Is the rest of the benefits package look good? Are they going to give us, you know, a decent healthcare plan. You know, those kinds of things. So you have to look at everything all together. That said, I think people are paying a lot more attention these days to the retirement plans, to what 401k are, what 403B or 457 is offered. And, certainly it would be a good idea to find out what you’re going to have before you go there and weigh that into the balance, but I wouldn’t put it at the top of my list. WCI: It’s just like I had a question a couple of podcasts ago from someone who is looking at residency, and wondering how much they should be weighing their benefits package. In residency, It’s almost nothing, you know, because the packages are so similar. As an attending, I don’t think it’s nothing, but it’s certainly isn’t, you know, a primary consideration. WCI: The other thing to keep in mind too is, is retirement plans change. You know, I’m on about my third retirement plan in a partnership I’ve been in for eight years. And so, they change, so you say you don’t want to base all your decision on, just the retirement plan. WCI: The good news is, they usually change for the better. You know, plans are generally getting better over time. People are … Employers are realizing they have a fiduciary responsibility to their employees, and that they can be sued if they are putting together a crummy 401k. And so, I think the general trend is that they’re getting better. So, I wouldn’t spend a lot of time worrying about that, but certainly find out what you’re getting into as part of the interview process. WCI: So, you had some questions about PAYE and Public Service Loan Forgiveness, and how all this kind of comes together, which I think we may have to revisit your first question about the Roth conversion as we talk about this as well. It sounds like you’re thinking about Public Service Loan Forgiveness. You’re set on Public Service Loan Forgiveness. What, what really is the plan there? Laura: So, he’s … We’re pretty set in it. So, he’ll be paying for five years outside of, out of when he’s been finished with this fellowship. He’s doing the PAYE program. WCI: How many years of payments as he made? Laura: He’s in, let’s see, three and a half now. WCI: Three and a half years of payments. Okay. WCI: And, it’ll be in another year anyway, another year, year and a half. Laura: Yeah. So, he should have five years of payments when he’s starting his attending. WCI: And about how much is the loan burden? Laura: Actually our first year it was nothing. Right now it’s … Oh, the loan burden is 300,000 approximately. WCI: 300,000, so pretty significant amount in comparison to a pediatric hospital as salary. WCI: So, I can see why you’re very interested in Public Service Loan Forgiveness. So, here’s the deal. The key to getting the most forgiven is paying the least as you go along. You know, the less you pay, the more you have to be forgiven. And so, you tend to do everything you can to make the payments as little as you can. WCI: And so, one of the things you do for that, if you’re both earning, which doesn’t apply in your situation. But, if you’re both earning, sometimes even do married filing separately when you file your taxes, to get the lowest possible payments for your PAYE program. In your situation, I don’t think that’s necessary at all. You guys can certainly file married filing jointly, and that will probably result in the lowest possible tax burden. WCI: In fact, I suspect you may be in the wrong payment plan. Pay as you earn is probably not the right payment plan for you guys. You probably want to be in revised pay as you earn. Laura: It should be. It should be. 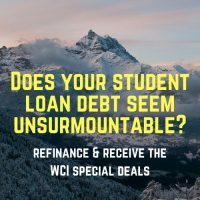 WCI: It’s all Federal Direct Loans? Laura: And, so my question is, can we switch to repay it at this point? WCI: You can, and all the payments count, the old payments still count. A lot of times when you switch program, I think it’s required that you make one full payment between them. 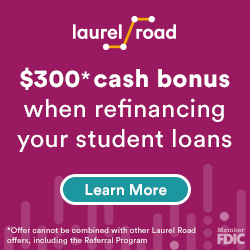 So, it may not be worth it to you guys to switch if you’re really committed to Public Service Loan Forgiveness. But, you know, it would be … You would have a lower amount of debt. Does that matter? Since the rest is forgiven, tax free? Not really, but it would result in less debt overall that was left there to be forgiven. WCI: The other thing that you can do to reduce those payments, is to keep your taxable income down, right? WCI: Not moonlighting results in more forgiveness. Not making a lot of money as an attending results in more forgiveness. Not doing Roth conversions results in more forgiveness. 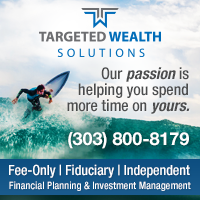 Doing tax-deferred retirement plans results in more tax forgiveness. WCI: So in your case, you know, the general rule is a resident is, yeah, do Roth contributions, do Roth conversions. 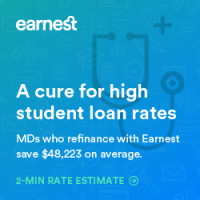 In your case, where you’re pretty set on Public Service Loan Forgiveness, you may come out ahead financially actually not doing that stuff, and doing tax-deferred payments to keep that payment as low as you possibly can. And, that is something you just have to run the numbers on. WCI: I generally recommend people in those sorts of situations actually hire professional help. I’ve got a list of people that give student loan advice on the website under the recommended tab. And, they’ll usually charge you a few hundred dollars, but they’ll go through your taxes with you, and how you should file them, and you know, whether you should be using Roth accounts or tax-deferred accounts for any retirement savings you’re doing, and figure out the best program for you to be in, et cetera. WCI: And truthfully, when you’re looking at maybe getting $300,000 forgiven, it’s probably worth paying $400, $500 to somebody to have them really go through those numbers with you with a fine tooth comb, and making sure you’re doing it in the way that it’s going to work out the best. WCI: I wish I could do that just on the podcast, but you let them. You just got to run a bunch of calculations. Laura: No, I’ll definitely check it out. Thank you. WCI: So, that’s probably worth doing for you guys, and maybe even before you do those Roth conversions. So, I would get this sorted out this year, so you can make a decision about those Roth conversions or not. WCI: … Or are you just starting to kind of feel like maybe you need something, or what? Laura: We’ve had like a few of the sham type people. WCI: Of the sham type people? Laura: The fakey, fake financial advisors, but now that we’re … I mean, we’re looking to start earning more money. Part of me thinks, “Oh, we can just do this. We can put away our savings. We can manage our money,” and part of me is nervous to make a mistake. Like what you were just explaining about the repay versus pay, and it’s like … And, it’s an expensive thing when you’re on a fellow salary. So, at what point do we need to start saving a lot of money? WCI: Yeah. I mean, certainly this isn’t a bad time to get some financial advice, certainly about those student loans. I think that’s worthwhile. The thing you mainly need, is you need a written financial plan in place. And, if you feel capable of writing that financial plan, I don’t feel like you have to hire anybody. If you did not feel capable of writing that financial plan, and being confident that, “Okay, this is a good plan,” then I think you need to do something, and you’ve basically got three choices. WCI: The first one is to start reading a bunch of books, and blogs, and participating on internet forums until you kind of have this stuff down. And, you can do that both asking and answering questions. You’ll learn a lot. This is basically what I did. I mean, I was kind of a do it yourselfer and I’ve learned all this stuff eventually. WCI: The second option you have, is something like my Fire Your Financial Advisor online course. The whole point of that course is for you to come out of it with a written financial plan that you wrote yourself. And so, that’s the whole point of it, you know? It’s not as cheap as reading books, and blogs, and participating on forums. You know, we charge 499 for the course, but it’s dramatically cheaper than paying a financial advisor. And so that’s the right choice for some people. WCI: For other people, the right choices to hire an advisor. And the key there is to get good advice at a fair price. But there are lots of financial advisors. I keep a whole list of them on my website under recommended financial advisors, or best financial advisors, that will help you put a financial plan in place. Even if you don’t want their help in implementing it, even if you don’t want to pay him every year, you know, an asset under management fee to keep the plan going, they will help you draft up a financial plan. WCI: Now, that’s probably going to cost you some money. The more you can do yourself that you bring to them, the less it will cost you. But it’s going to cost you at least paying for a couple of hours of their time, at two or three or $400 an hour. And, more likely it’s probably going to cost you something like two, or three, or $4,000. That’s just what it costs to go to a professional, and get a financial plan drawn up. WCI: So, I think those are your three options. You know, obviously, increase in expense, but you get increasing help with each additional step. So, when should you do it? I think it’s worth doing any time you’re making money, and don’t have a written financial plan. You know, if you need the advisor, go hire the advisor. You know, you don’t want to be penny wise and pound foolish, but you do want to pay attention to the fees, and not pay fees that you don’t need to pay. You know? So, it’s kind of a balancing act there. And does that make sense? Laura: It does. Thank you. WCI: So, it sounds like you and your husband are doing some good for the next generation of docs coming up. Tell me about these kind of teaching things your husband’s been doing with the residents. Laura: Oh, it just … It’s nothing amazing. It’s amazing to see the residents that come out, and they’ll have no idea, you know, what was being withheld from their paycheck or how to set up a 401k. So just, I mean just even helping friends get their 401k set up and stuff. And we’re were just all at in the very, very beginning of learning what … How much the government is getting paid, and how much we should be saving. WCI: You know, it’s amazing though how much good you can do. The first few things you learn about finance are so high yield, you know, that you can really make a big difference in somebody’s lives. I think that’s especially true with docs that are, have come from another country. You know, they don’t even know our tax system. They don’t … “401K what? What does that mean?” You know? Laura: Yeah. And all the SS, and all the weird acronyms in there. WCI: I appreciate you coming on the podcast today. Laura: Yeah. Thank you so much. WCI: So thankful to have had Laura on. That was great. I love having your voices on the podcast. I think as much more interesting for you guys listening out there, to be able to listen to something besides my voice droning on all the time. WCI: Her question about when you’re needing an advisor is kind of the opposite question I tried to answer with a blog post back in January, which was, “How do you know you’re competent to be a do it yourself investor?” And, the points I tried to make in that post are pretty relevant to this discussion. WCI: I mean, the first one was that you don’t have to be fanatical about it, right? You can have a combination of using an advisor, and doing some stuff yourself. It’s not like you got to go all or none. And in fact, you can even use an advisor for years, and then switch to being a do it yourself advisor, or using an advisor on one account, and do it yourself on another account. WCI: There’s a lot of different combinations, but I think there’s a few things you have to have in order to be a do it yourself investor. You’ve got to be interested in it. If you’re not interested, you’re not going to gain the knowledge you need to do it well. You’re not going to gain the discipline you need to do it well. So, the first thing is you gotta be interested. And. I think when you can write your own financial plan and go, “Yeah, it’s pretty good financial plan,” then you probably don’t need a financial advisor, right? WCI: If you look at it and you go, “I don’t even know where to start writing a financial plan,” then you probably ought to go hire somebody. You know? Or, take my online course, or at least start reading some books. WCI: I think another time when you realize that maybe financial, maybe you’re ready to start doing it yourself, is when the fees are really bothering you. When you’re like, “Man, I paid $5,000 or $10,000 or $25,000 last year in advisory fees. I really don’t want to do that. I don’t feel like I’m getting that much value out of this,” then it’s time to start learning some more, and becoming a do it yourself investor. WCI: When you’re listening to advice from your advisor, or from radio hosts, or on this podcast and you’re starting to poke holes in it, when you’re going, “Oh, well that’s not right in this situation.” When you can actually defend one side of some of these common controversies and investing, like what a safe withdrawal rate is, or whether you should use a Roth or a traditional 401k, you know, these kinds of questions. When you can actually have these debates and to defend both sides, you’ll probably know enough to start managing your own money. WCI: You probably need to have read some books too. You know, honestly, it’s possible to learn all this stuff on the internet from blogs, and forums, but most people find it’s much more of a shortcut if they read at least a few good financial books. WCI: I think it’s important to have sufficient confidence, but not be overconfident as well. If you, you know, think you can predict where interest rates are going, or where the market is going, you’re probably overconfident. But, I think as a general rule for most docs who are learning this stuff and progressing toward becoming do it yourself investors, your confidence generally lags your knowledge level and your skill level by about a year. WCI: A lot of people look back and go, “I could have been doing this for the last year,” but they just didn’t quite have the confidence to do it. So, as you learn this stuff, realize this is something you can do. It’s not that hard to do. 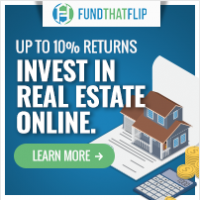 If you’re willing to put the time in, and you’re willing to develop a little bit of discipline to stay the course through the down markets, then certainly you can save the thousands of dollars a year it will cost you to get good financial advice. WCI: All right, so let’s move into some of your questions. Our first question here comes from James about salary transparency. James: Hi Dr Dahle. This is James from sunny San Diego. I have a question about your thoughts on salary transparency in general, and in the family. Should doctors know, or be able to find the salaries of their fellow doctors in the group, hospital, or academic institution where they work? What about doctors who are seriously considering a career move into a group hospital or academic institution? James: Could you comment on the current state of affairs around salary transparency and medicine, and state if you think things should change? Finally, should kids know how much their doctor parents make? Also, do you think that parents should know how much their kids make when they have left home, and or young professionals? WCI: He’s basically asking a bunch of different things. Should doctors be able to know what their peers and potential peers make? And, if not, should that change? Also, should kids know how much their parents make, and should parents know how much their kids make when they leave home? WCI: Well, you know, there’s a lot of it depends involved in this question. Salary transparency is a big, almost a political topic these days. A lot of people are big fans of it. It was interesting, I listened to a podcast on Planet Money, I don’t know, a couple of years ago, about a company that decided to be radically transparent about what everybody was paid in the company. And, they just put a spreadsheet up on the company website, on their intranet with everybody’s salary on it, and you could look it up at any time. And it was interesting, some good did come out of it, and a lot of frank discussions came out of it where employees were told, “You’re not worth that much to our company. That’s why we’re not paying you as much as Sally down the hall.” And, there were a lot of kind of hard feelings that came out of it as well. So I don’t think it’s all unicorns and rainbows, you know, and sprinkle cupcakes to have salary transparency. WCI: That said, there are certainly some benefits there. When it comes to negotiating, information is power. The more you know about what other people in that company are being paid, the better negotiating position you are in. So, salary transparency helps the workers, and hurts the owners, you know, in that negotiating position. WCI: There’s a lot of good data showing, that companies where the salaries are more transparent, have a much smaller gap between what men are paid, and what women are paid to do the same job. So, this has become a big issue among advocates for equal pay between the genders. And so, that’s certainly one issue of it. WCI: I think there is just a little more of a systematic approach to salaries that people take when they’re transparent. You know, I mean, most of us had transparent salaries when we were in residency, right? Everyone got paid the same, no matter who they were, what they knew. We were all paid the same as a PGY2. In fact, usually across the hospital, you’re paid the same whether you’re an orthopedist, or a pediatric PGY two. WCI: Certainly, in the military is that way. A lot of partnerships are set up that way. They eat what you kill, you know. And so, I think it’s possible to be very transparent in a lot of jobs, but it’s not all perfect to have salary transparency. There are some issues with it, and there really can be some hurt feelings over it if you’re not careful about how it’s done. WCI: Now, as far as this question about what kids should know about their parents , I think you’ve got to approach every kid as individual. I don’t know that any of my kids know exactly what we earned last year. It doesn’t help that our income is so variable month to month, and year to year, but they know that we’re well off, and that we make plenty of money. And so, we don’t hide that from them. I think it’d be impossible to hide it from them honestly, but you know, we don’t sit down and do our taxes with them. WCI: Now if they came to me and sat down and wanted to talk about it, I think if they’re old enough that I wouldn’t have to worry about them running around the neighborhood telling all the neighborhood kids what I made, I would probably sit down and have that discussion with them. But, my nine year old running around the house asking me what I make? He’s probably not getting the straight answer either. So, I think there comes a time and place to have that sort of a discussion with the kids. WCI: As far as whether parents should know what their kids make? I don’t think so. You know? I mean, do you go tell your parents what you make? I don’t think that’s really something that needs to be out there. Is it bad to have frank discussions? I think it’s perfectly appropriate in some families, but I think in other families it can cause a lot of problems. WCI: I know particularly in some cultures there’s heavy expectation for the kids, especially the financially successful doctor type kids, to be contributing to the parents and even to their siblings. And so, I think that can get a lot of people in trouble when you’re radically transparent among family members about those salaries. So, be careful with that. WCI: All right. Our next question comes from an anonymous pulmonologist. Speaker 5: I’m a pulmonary critical care physician, started my job after fellowship since last three years. I have been late to the world of investing, but I got subscription of Motley Fool Stock Advisor service, which recommends four stocks every month. And, I been falling with them for about 18 months now. Speaker 5: I have been almost following every recommendation, and have been buying stocks ask per their recommendations. Unfortunately, now my stock portfolio has become almost more than 110 different kinds of stocks, and I think it’s getting too much for me to keep a handle on. So, I would like to simplify, and I want to know how to do that. I think going index funds might be easier, but I’m not sure how to decide which stocks should I sell, which should I retain. And, if you can guide how to simplify things. Thank you. WCI: So. Basically, this doc has been picking stocks using a newsletter. You know, for better or for worse, that’s what the motley crew … Or, Motley Fool. Sorry. A stock recommendation services. It’s a newsletter. They send it out saying “Buy, buy, buy. Buy this, buy that,” and this is a good example of what happens when you actually follow the instructions of those things. WCI: Now, this doc has 110 stocks. I mean, nobody can follow 110 stocks. It’s impossible to keep track of all that. That’s a ridiculous portfolio. Not only is it ridiculous, he’s running a fair amount of uncompensated risk. And, now just to get out of this portfolio, and get into a set of index funds he’s got to probably pay all these commissions at seven or eight bucks a piece to sell these stocks. So, this is not the kind of portfolio I recommend. I think he gets that, that he would be better off in a handful of diversified index funds, but the question is how do you do that? WCI: Well, the way you do it in this sort of scenario … It doesn’t sound like he’s been doing it all that long, and so there’s probably not that many capital gains there. But, in a taxable account, you do want to be conscious of how many, how much you’re going to have to pay in capital gains taxes. If, you know, your basis is very low compared to the value of these stocks, you may want to think twice about selling them. You may want to build the portfolio around some or all of these stocks. Certainly you can sell the losers. You can sell the ones where the base is about what the value is, and hopefully be able to get out of most of them without having to pay too much in taxes. But in this sort of a scenario, I just wouldn’t want to be interested in following 110 stocks, so I’d be selling them like crazy. I’d probably have them all sold within the next two or three days, and just put the money into an index fund. WCI: Certainly if you’re in a Roth IRA, or a 401K where there’s no tax companies and maybe not even a commission cost to selling these things, then I’d do that right away. Obviously, there’s no tax issue there. But, in a taxable account there’s going to be some tax complications, and consequences of that mistake of basically trying to be a stock picker based on, you know, what a newsletter is sending out. WCI: What’s interesting is that he’s probably not even tracking his return on these assets, you know? I mean, he may be under performing in an index fund. He may be over performing in the index fund. But, who can keep track of it when you got that many pieces coming and going, and that many moving parts in the process? Our next question comes from Matt. Matt: My name is Matt, and I recently became an attending physician, and had the opportunity to do a backdoor Roth IRA in 2018, which I did for myself and my wife. We invest through Fidelity, and so that required a five day wait for the accounts to settle before I could actually do the conversion from the traditional IRA to my Roth IRA, but everything ultimately went smoothly. But now that it’s tax time, I looked at my account, and lo and behold, I actually gained some interest in my traditional IRA while the accounts were settling. So, I actually have 37¢ in my traditional IRA account. Matt: And so, my question is, what do I do with that? Is that going to trigger any kind of pro rata calculation, or kind of mess things up? Or is it just insignificant, and basically contribute the maxing out minus 37¢ to my traditional IRA in 2019 and do another backdoor Roth for this year? I’d love to hear your thoughts. Thanks. WCI: This is such a common question. I wrote a blog post about it. It’s called, Pennies and the Backdoor Roth IRA. He’s basically asking what does he do with the 37¢ left in the traditional IRA account after doing the backdoor Roth IRA process. And, pretty much all of us have this happen to us every year, because you earn a little bit of interest in the one or two days that the money was in the traditional IRA, before you move it to the Roth IRA. WCI: So, what I usually do is I just convert that 37¢ to a Roth IRA. Technically it’s taxable, right? But, since you round everything down to the nearest dollar, there’s actually no tax cost. You just got a free 37¢ Roth conversion, so that’s great. But, even if it was five bucks or 10 bucks or $250, it’s still what I would do, I would remove it out of the traditional IRA and into the Roth IRA, and just pay whatever taxes are due on it. WCI: If it’s truly just a few pennies, you can leave it in the traditional IRA and roll it over next year when you put in your next contribution for next year, and just not worry about it. But, what I would do most of the time is just go back in there and roll those few dollars, or a few cents into the Roth IRA as well. WCI: Okay. Our next question comes from Wasim. Wasim: Hi, Doctor Dahle. My name is Wasim. I’m a single 27-year-old guy in my third year of radiology residency in a high cost living area, which means I have two more years before graduating if I include fellowship. I plan on moving back to the Midwest in my hometown, which is a much lower cost of living area. Currently, I’m maxing out my 403B, and saving approximately 30% of my income each month for my investments, and I’m lucky to have no debt. Wasim: I have a question about my investments. I currently only invest in the Vanguard Life Strategy moderate growth fund, which has a 60/40 stock to bond ratio. I think I’m playing it too cautiously and now wanted best a bit more aggressively, but still keeping it as passive as possible. I was thinking of buying separate index funds for the total stock market, total international stock market end-of-rate. Do you think I should be investing in bonds at all for someone in my stage of life? If so, how much? Thank you for everything that you do. WCI: So Wasim is a resident in a relatively conservative portfolio for a resident. I mean, it’s basically 60/40. 40% bonds is a lot of bonds for resident. I mean, this is a relatively tiny portfolio compared to what he’s eventually going to retire with, and so it certainly wouldn’t be crazy to have a more aggressive portfolio. You know, 75% stocks, which is the maximum that Benjamin Graham, Warren Buffett’s teacher, recommended you ever have. Even 90% stocks or 100% stocks would not be crazy in this sort of a scenario. WCI: So, do you need stocks in a four figure portfolio you have as a resident? I mean, do you need bonds? Well, probably not. Is it really make a difference? No, but it’s a good chance for you to see how bonds perform, how stocks perform, as you’re beginning to be an investor. And so, I think there’s some value there in having some bonds even from the beginning. WCI: But let’s not kid ourselves. What really matters when you’re investing early on, is how much money you’re putting in the account, not so much with the asset allocation is. So, I would concentrate on income. I would concentrate on savings rate, and I would worry a little bit less about asset allocation. In fact, I would probably, if I had it all to do over again, I would probably just leave my money in a target retirement or a life strategy, a fund of funds until I had $100,000. It just doesn’t matter that much early on. WCI: If you want to break it down and play with your money a little bit more, that’s okay. You might be able to save a little bit of money in expense ratios, maybe fine tune your asset allocation a little bit better. But, really this doesn’t matter that much when you’re a resident. What really matters is hitting the ground running when you become an attending. WCI: Okay. Our next question comes from Will. Will: Hi, Dr Dahle. Thanks as always for all the hard work with the blog, and the podcast, and the book. I wanted to ask you about your thoughts on helping parents in retirement. So, I’ll be an anesthesiologist in the summer. I have way more money than I could ever need, and my parents have always been incredibly supportive of me, but unfortunately they have not saved much of anything from the rather large income they have had. Is there anything in general that’s really good when you’re want to support your parents, or help them retire? Will: You know, I was thinking about either just giving them money every year, or maybe paying for the mortgage, or you know, buying VTSAX in their name, or just paying for flights to come visit. I really love your advice. Thank you. WCI: He’s basically asking, “What should I do to support my parents who never saved despite a high income?” And, this is a question I think a lot of docs struggle with. I’m lucky enough that my parents have done very well. They were very frugal, and after my dad retired with a pension, he actually kept working, and built up a pretty sizable nest egg as well. So this is not something I really have to worry about. WCI: Certainly, you don’t want to just be throwing money down a rat hole. You know, if they’ve got a meth addiction or something, you know, you don’t want to be supporting that. Likewise, terrible financial decisions. You don’t want to be supporting those. But, you probably want to keep a roof over their head, and want to keep food on the table, et cetera. Certainly, it’s reasonable to do little things on the side that make a difference like, you know, they may not come see you and their grandkids if you don’t buy their plane tickets. So, that seems like a reasonable thing to do. But, I probably would not make a habit of, you know, making their credit card payments for them. I would probably demand that they chop up the credit cards before I actually assisted them financially. WCI: I think it’s okay to set limits when it’s your money that we’re talking about. It’s okay for you to set some of the rules, but that’s gotta be done very, very politically and a with a great deal of compassion I think. WCI: Okay. Our next last two questions here, both from the same asker, Let’s listen to her first question. Carina: I’m on my second year as an attending in a low earning specialty, in an academic hospital. This year, my husband and my adjusted gross income went above the 199,000 contribution limit of a Roth IRA. However, I still contributed $5,500 to my Roth IRA. I know now that this is not allowed, and I am going to take the money I contributed out, and instead do a backdoor Roth IRA like I had learned from you. But, what should I do with the money that was earned from those $5,500? Should I take it out, or leave it in the Roth IRA? Will it be taxed like ordinary income? Will there be any penalties for taking that money out? WCI: Okay. Basically what she’s asking here is, “What should I do with the earnings in the Roth IRA that I shouldn’t have contributed to in the first place?” Well, what you do here in this situation is actually pretty common. Just for people who don’t know about the Roth IRA rules, is you re characterize the Roth IRA contribution to a traditional IRA contribution. And, when you do that, both the principal and the earnings go into the traditional IRA. Then you have to wait a certain period of time. There’s IRS rules on it. It depends on what time of year you do it, actually, how long you got to wait. And, then you convert it all back to a Roth IRA. WCI: Now. at that point you’re going to owe taxes on the earnings portion of that money, just because, you know that part hasn’t been taxed yet, unlike the traditional IRA contribution that was after tax money. But, that’s the way you do it. You re characterize it to a traditional IRA. You wait a few months, and then you convert it to a Roth IRA, and pay any taxes due. WCI: Pulling the money out of the account probably isn’t a good idea. That often triggers penalties, and keeps you from being able to keep all that money in the account like you wanted to in the first place. Let’s listen to her second question. Carina: I am originally from a small country in Central America, but was born a US citizen as well. I came to the US for residency, and stayed for fellowship, and met my husband. I am now in my second year as an attending in a low earning specialty in an academic hospital. Because I did med school in my home country I have no student debt. We own our cars, and only have a mortgage for a $200,000 house. My husband and I are hoping to retire early in the next 10 to 15 years. After retiring, we are hoping to spend a significant amount of time traveling and living outside of the US, most likely in Central America. 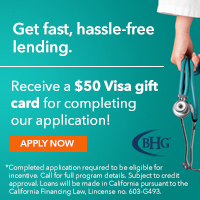 Carina: Are there any types of specific investments you would recommend in this scenario that perhaps would give us a break at the time of taking money out to live outside of the US? I know we can transfer outside of the US, but that comes with extra fees which we would like to avoid. Thank you. WCI: Now, this is a much more difficult question. I had to actually do a little bit of research about. You know, most of the time, let’s be honest, when people are asking me questions, it’s the same 30 questions over and over again. But, this one I actually had to do some research. WCI: Basically, if you’re planning to retire in 10 or 15 years outside the United States, are there specific investments or specific financial things that you should do now? Well, the main thing is if you’re going to want to retire in 10 or 15 years, you got to save a lot of money. Even if you’re going to be living in a lower cost of living country, you’ve got to save a lot of money, and you probably have to be pretty aggressive with your investments, because you need your money to do some of the heavy lifting. WCI: Bear in mind you can use retirement accounts, but you are going to pay US taxes on the money when it comes out of those retirement accounts. That’s just the way it is. If you’ve got a bunch of money in US retirement accounts, you’re going to pay US taxes on that money when it comes out. But, since you’ll likely need a lot less money to live in Central America or someplace like that, you may want to maximize the use of tax-deferred accounts rather than Roth accounts, because you’ll be in a lower tax bracket, you’ll have a lot less income when you’re living in retirement. WCI: You also need a plan to get to that money before age 59 and a half. This is an issue that every early retiree has got to work around a little bit. 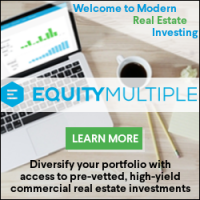 The easiest way to do it is with what’s called the SEPP rule, substantially equal periodic payments rule, and you basically take out the same amount from the time you start taking the withdrawals until you hit age 59 and a half. And, that allows you to get to your retirement money without having to pay the penalty. So, basically what they’re saying is early retirement is an exception to the age 59 and a half rule. WCI: You should also be aware of state taxes. Okay? If you are, you know, going to live in another country, it would be ideal if the state, which you’re having to pay US taxes on, is a tax free state, like Nevada, or Alaska, or Washington, or Florida, Texas, et cetera. That would certainly reduce your tax burden. 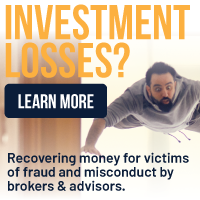 You may find it’s easier to buy ETFs too when you’re overseas, just because brokers or brokerages are much more likely to be used to dealing with, you know, the compliance rules from foreign country’s taxes than a typical mutual fund provider might be. So, that may be worthwhile looking into as well. WCI: If you do decide to maintain your US citizenships, you’re going to have reporting duties to the US. You have to report bank accounts over $10,000. You have to report property over $50,000. You still have to actually pay US tax on any foreign income that you receive. So, that leaves you with the question, “Do I renounced my citizenship?” And, that’s expensive too. WCI: Here’s what happens when you were announced your US citizenship. First, you pay a fee of $2,350. Yeah, just to walk out the door. That’s what it costs. But you’re trying to avoid being what they call a covered expatriate, and one of the ways you can get that, is having a net worth of $2,000.000, or having a tax burden, actual tax liability of $160,000 or more for the last five years. WCI: If you become a covered expatriate, you’ll actually owe taxes as of the day you renounce your citizenship. Now, they give you a $700,000 exemption on capital gains, but any capital gains above that, you’ll have to pay capital gains taxes. And, you could also state or federal estate taxes depending on the size of your estate. WCI: And so you really have to calculate carefully, and actually time your exit from the country when you renounce your citizenship, if that’s something you’re going to be doing. So, this is going to require some planning ahead if you really want to leave the US, and not be a US citizen. If you’re going to continue to be a US citizen, well just continue to, you know, plan to continue to pay US taxes, because you’re basically going to continue to pay taxes just as though you were continuing to live here.I hope that’s helpful and answers your question. Great question, Katrina. WCI: This episode was sponsored by Creighton University’s MBA program. Creighton University believes in equipping physicians for success in the exam room, the operating room, and the board room. 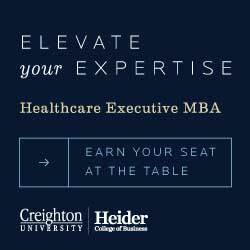 If you want to sharpen your business acumen, deepen your leadership understanding, and earn your seat at the table, Creighton’s Executive Healthcare MBA is for you. WCI: Specifically tailored to busy physicians, advanced clinicians, or working healthcare executives, our program blends the richness of on campus and the flexibility of online learning. Earn the Creighton University Executive MBA in 18 months, 45 credit hours and just for four day on campus residencies. Learn in deeply collaborative peer to peer cohort, and elevate your expertise. Visit www.creighton.edu/chee to learn more. 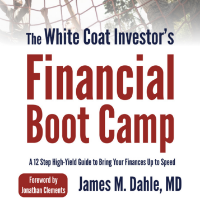 WCI: Be sure you check out the White Coat Investor Financial Bootcamp book. It’s out. It’s great. It’s getting some great reviews. You can pick that up at Amazon today. Also, an E-version, and a audio book is available. WCI: Thanks for subscribing to the podcast. Thank you for giving us a five star review on iTunes. It does help spread the word of this message to your peers. Head up, shoulders back, You’ve got this. We can help. Disclaimer: My dad. Your host, Dr Dahle, is a practicing emergency physician, blogger, author, and podcaster. He’s not licensed accountant, attorney, or financial advisor. So, this podcast is for your entertainment and information only. It should not be considered official personalized financial advice. That was some great information on the expatriate question that I was not aware of, especially the renouncing the US citizenship part. I was shaking my head about the 110 stock portfolio case. That would be incredibly hard to keep tabs of. Even if there was a capital gains hit I would try to minimize that ASAP to lower the pain of managing all of that. And even though there a lot of different individual stocks, likely this investor is not as diversified as he or she would like to think as stock picker newsletters usually focus on the hot sector of the day for recommendations and thus be overweighted in it. 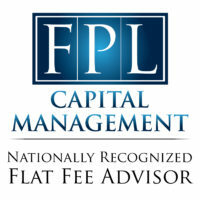 The required one month of full standard repayment (in order to count for PSLF) or reduced token payment (which does not) is actually unique to switching from IBR. Switching from PAYE is direct but will still trigger interest capitalization and will typically result in a one month “administrative” forbearance while they make the switch. The capitalization can reduce the overall benefit of the subsidy depending on how long the borrower has been in PAYE if there was a negative amortization scenario. With the help of books, articles, and blog posts from WCI, William Bernstein, and others, I’ve been managing our investments for the past 20 years without a financial planner, although I do use an excellent accountant and an estate-planning attorney. With time, index investing, and significant tax-deferred tools, we’ve amassed a significant net worth, with future value calculations of around 5-6M by the time we retire in our early 60s. However, I’ve been thinking of hiring an hourly advisor to help optimize our transition to retirement or part-time work, since the rules around SS benefits, defined-benefit pensions, and RMDs, and how they all fit together in a retirement plan, seem like a lot of moving parts. Any recommendations on books or articles that focus on this phase of one’s career? I get this request a lot. I don’t see what the big deal is. I think it’s just an anxiety provoking period of life. I mean, RMDs are RMDs. The rules are super simple and straightforward. Social Security is a decision that most only make once and then never have to think about again. Mike Piper’s Social Security Made Simple is the ideal volume. It’s only 100 pages and you don’t even have to read but a few of the chapters that apply to your situation. The pension decision is likewise one and done. I mean the only decisions are basically how to take it. Then you add up the income you must take, put it up against your expenses (fixed first and then variable) and then decide how much of your assets/income you don’t have to take to make up the rest of your spending. Do you have a specific question that you haven’t been able to answer? I’m sure you’re right, and that I’m over complicating things. The finality of the one and done decision for SS and pension distributions, affecting the rest of our lives, seems more daunting than it is. Perhaps I’ve been reading too many articles entitled “60% of retirees get this wrong.” Thanks. I think that’s a big part of it. I think it provokes a lot of anxiety in all of us to move into a phase of life where we cannot rely on our earning potential to support our spending needs/wants. But at the end of the day, it’s really the same exercise. I think you’d enjoy James Lange’s excellent tome Retire Secure.